A few weeks ago I decided that I really wanted to knit a sweater, BUT living in Texas at this time of year (talking over 100° F y'all) just the thought of a sweater makes me cringe. So I decided a simple, light, roomy top would be better. 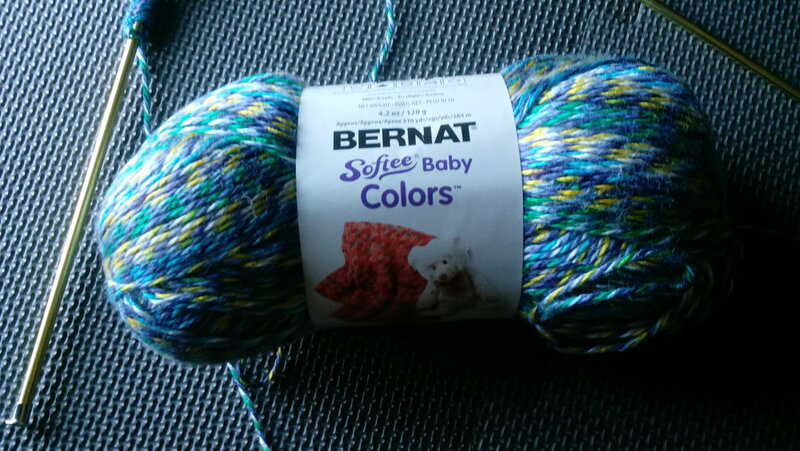 So I dragged out this baby yarn and prayed 3 balls would be enough. I decided I would stick with a simple T-shaped schematic so I didnt have to fiddle around with shaping since I've only knitted one garment in my life. At some point i got bored with stockinette so i decided to add some lace to it and after staring at one of my knitting stitch books I decided just to make up my own that would be easy to remember. I love that just making yarn overs with decreases next to them you can create a pretty little lace design. Much to my surprise I didn't even use a whole ball of yarn for the first piece, so yay knitting! I'm just starting up the second piece and am trying to decide whether or not to add some element of crochet to it. Thinking maybe some motifs or simple chains to join the sides and top shoulders together. If i just sew it together it will be a simple boatneck tee. Anyway, once I get my second piece finished and blocked I'll be posting the instructions on here for y'all including size changes and possible customizations. What's your go-to summer knit? Let me know in the comments below!